The iconic Four Seasons logo will be emblazoned on the plane's tail and the fuselage. 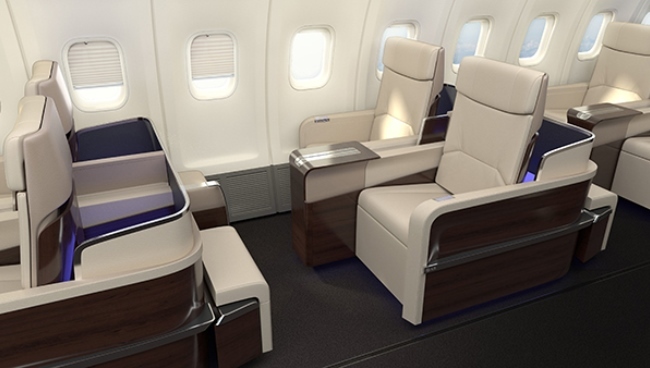 Inside the re- fitted Boeing 757 interior will be customized by the company's team of design experts, with custom leather seats that convert into flat beds and 52 seats instead of the usual 233. With this much space and style TLTB expects this to be a truly high flying travel experience. 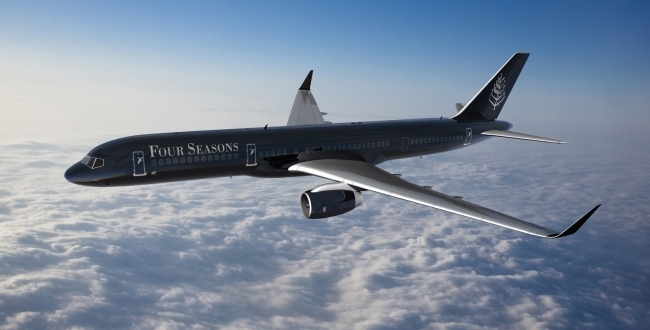 Beginning in February 2015, the Four Seasons Jet will transport guests on bespoke journeys with a distinctly Four Seasons flavour. Everything will have FS flair from the moment you book your trip. There will even be a dedicated on-board concierge, who will coordinate with local Four Seasons concierges in each destination travel and Four Seasons in-flight staff. Global in-flight Wi-Fi keeps guests and staff connected, so that spa treatments, tee times, private excursions and more can be arranged 'on the fly' to augment each itinerary. Travellers will also have access to exclusive experiences available only to Four Seasons Jet passengers. The trip Begins in Los Angeles and concludes with a celebratory dinner in London, this 24-day, 9-destination journey explores dynamic cities, exotic islands, architectural wonders and awe-inspiring natural environments. Highlighted by an only-by-private-jet stop at the Taj Mahal, all accommodations will be at Four Seasons hotels and resorts. In the company of other like-minded travellers who share a passion for the arts, guests will visit six cities and spend 16 indulgent days filled with backstage visits to Europe's most stunning museums, outstanding performances at Teatro alla Scala in Milan and the Estates Theatre in Prague, exquisite dinners and a private gala in the Pavlovsk Palace outside St. Petersburg. This globe-circling expedition touches down in nine destinations and includes stays in three of the newest Four Seasons hotels, plus the brand's very first safari lodge in the Serengeti. From the Forbidden City in Beijing to the medina in Marrakech, the blue waters of the Maldives, the excitement of the world's largest fish market in Tokyo and a final, glittering dinner in New York, it will be 24 days no one will ever forget. Each journey includes air travel and ground transportation, planned excursions, all meals throughout the trip and, of course, Four Seasons hotels. The trips don't come cheap with a price of around US$119,00 for the round the world trip. Nevertheless, if this isn't enough luxury for you the Four Seasons Jet, including accompanying staff and crew, may also be privately chartered.